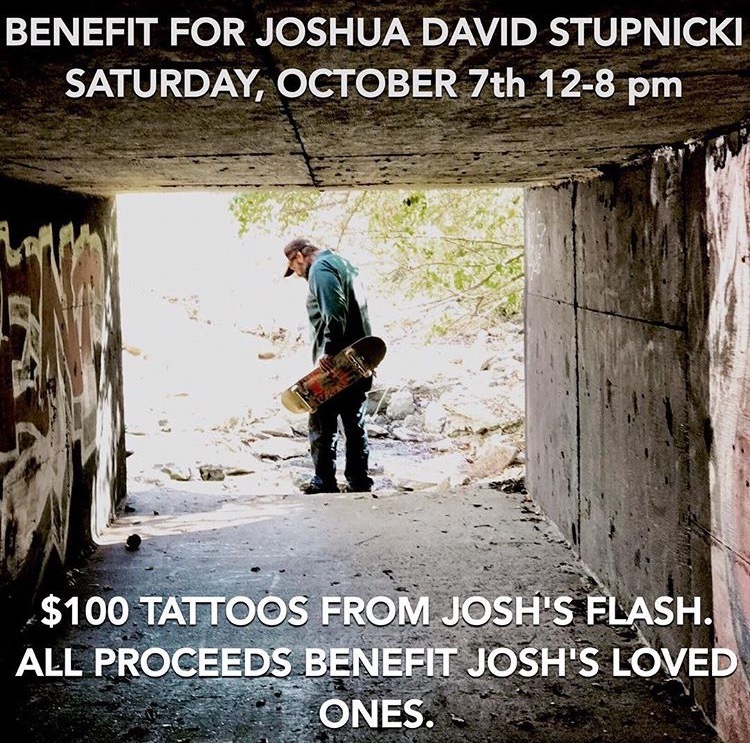 Benefit for Joshua David Stupnicki will be hosted by Victory Tattoo on October 7th from 12-8 pm. We will be tattooing flash from Josh's drawings for $100 each and all tips and proceeds will be donated as well. Artists include Chad Koeplinger, Max Nance, AJ Lingerfeldt, Ian Dana Camp, Mia Graffam, and Pat Schraeder. First come first serve. Please join us in celebrating our friend Josh. August 30th, 1977 -- August 25th, 2017.